Rosie Macari is a dance and theatre performer. Originally from Newcastle, Rosie started her training at the Centre for Advanced Training in the North East then furthering her training by completing a First Class BA Hons at TrinityLaban Conservatoire of Music and Dance. Whilst training Rosie worked with choreographers such as Richard Alston, Gary Lambert and Charles Linehan. 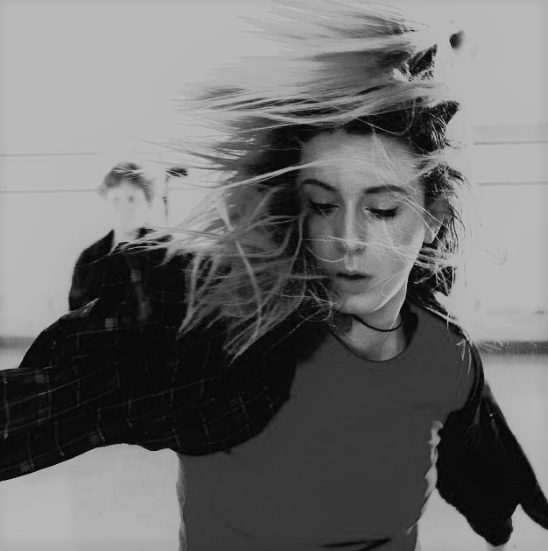 Since graduating, Rosie has worked with a variety of choreographers as well as her own projects, including Motionhouse, Lo-Giudice Dance, Jennifer Essex Dance, Neville Campbell, Chantry Dance, State of Grace and Kristin Kelly Abbott Dance. Her performance experience ranges from stage theatre productions, music videos/dance films, to here her main love – site specific outdoor festivals. She also collaborated with Francesca Mcloughlin in 2015 on a production titled ‘talk to the waves’, which was chosen to be performed in the annual Texas Grand Slam poetry event in Houston Texas as guest performance. Rosie also enjoys teaching others and has taught various outreach groups within local communities, ranging from tailored classes for elderly people to young children, as well as local schools. Most recently Rosie has been working on the CAT scheme based in Newcastle teaching and choreographing on the students, as well as being our lead dancer on our “Physics of Dance” programme.